I never met my Uncle Cecil. He died June 17, 1944, just over two and a half years before I was born. But I thought a lot about him as we took a few days off over Memorial Day Weekend. That was appropriate because Uncle Cecil, known to everyone in the family as Squeak, along with so many other American soldiers, was killed in Normandy, near the town of Sainte Mere Eglise, eleven days after D-day. 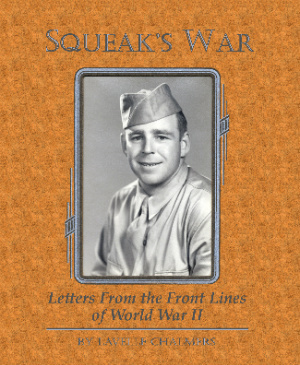 We are working on a second edition of Squeak’s War: Letters from the Front Lines of World War II, a book that travelled around the family in a type-written form for more than sixty years before it was rescued and published as a hardback book. It consists of the letters he sent home from the time he was drafted in 1942 to training at Fort Ord, near Monterey, California, Camp Crowder, Missouri, Fort Bragg, North Carolina, and front line service in North Africa and Sicily before landing in Normandy. Through his letters I’ve gotten to know Squeak. He sounds like a guy I would have liked. He was a good letter writer. I can tell he liked to have a good time. He had a good sense of humor. Like young men everywhere he was always interested in meeting girls wherever the army sent him. He wasn’t thrilled to be drafted, but he was always ready to do his duty. As we edit Squeak’s letters, and prepare pictures and documents for the book, I can’t help but think that there is no better way to honor someone who has served in our military than to remember that person’s stories so that generations that never had the opportunity to meet the veterans in their families will have a chance to know them and what they gave to defend their country. 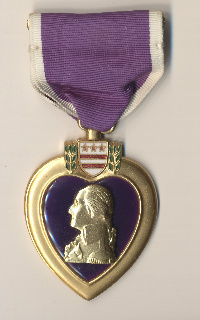 One way to remember the veterans in your family is to join in the Library of Congress’ Veterans History Project .The link will take you to the Library of Congress website where you can find out more about the project and how you can participate.